Lacquer Mirror with Mother of Pearl Carvings. 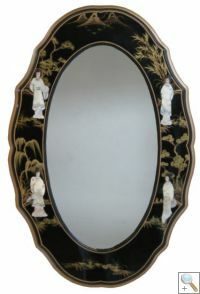 Welcome to Grand International Decor Ltd. - Trade Chinese Furniture. Also Available in Cream Lacquer!